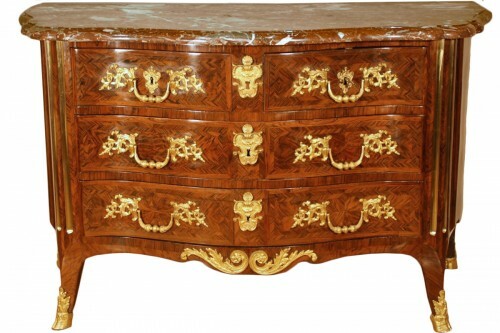 Beautiful and important curved shaped walnut wood commode, 18th century, late Regence/early Louis XV, region of Castres, France. 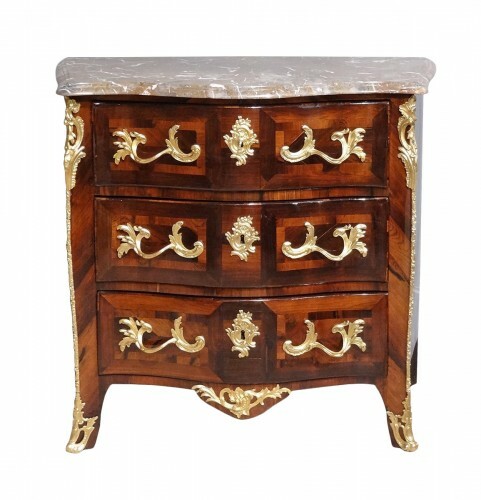 It opens with three long drawers with inserted genuine foliated bronze handles and lock-plates. Sides are paneled. Moulded serpentine “bec de corbin” wood top. Wonderful and solid construction.